Let’s start these reviews off with the film that got me seriously considering animation as a career and is still probably my favourite movie of all time: ParaNorman. Though the movie is two years old, this is a spoiler-free review! 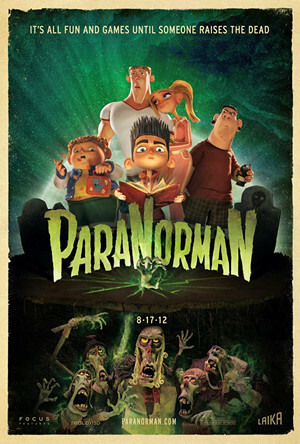 Released by LAIKA in 2012, ParaNorman is the tale of Norman, a small, quiet boy with a love of zombies and one very unusual skill: he can talk to the dead. All this has ever done for him is garner unwanted attention from the local bullies and frustration from his parents, so when his reclusive uncle charges him one day with preventing a 300-year-old witch’s curse from coming true, Norman’s not particularly thrilled. He’s even less thrilled of course when he fails, and the witch’s vengeful spirit awakens—and raises seven groaning, rotting zombies to terrorize his hometown. It’s up to Norman and the few friends he finally manages to make in the midst of the undead and an angry mob to discover the truth of the witch’s trial and finally put her angry soul to rest. While it, like many films aimed at children, has a lesson for its viewers, it’s not one that’s addressed often and not in the way ParaNorman does—and it’s one people of all ages should keep in mind.I could write an entire essay about everything I love about ParaNorman—how excellent the stop-motion animation is, how quirky and interesting the character design is, how good the message is. It isn’t without its faults, of course—no piece of media is perfect. The second act drags a bit until the plot-twisting reveal, some characters could have been developed more, and the moral could’ve been phrased more clearly—but the snappy humor, heartwarming characters, technically amazing visuals, and solid story balance things out. It is ultimately a gorgeous film that asks you to challenge your assumptions, and one I happily recommend. 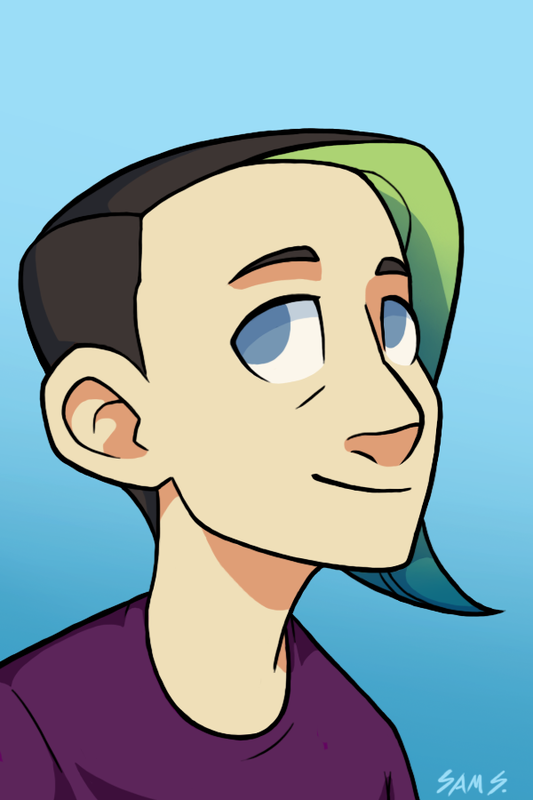 Artist and writer, I have loved animation for as long as I can remember but only recently started seriously exploring it in all its forms, learning the basics of how animation is made and all that goes into our favorite films, cartoons, and more. I still have a lot to learn, and a lot to watch, but I look forward to giving my perspective on my—and so many others’—favorite storytelling medium.